With 2007’s Juno, Jason Reitman earned his first Academy Awards nomination as Best Director. 2009’s Up in the Air got him second Oscar nod - and last to date, though Reitman just turned 41, so I wouldn’t view him as a has-been. Ryan Bingham (George Clooney) works in “termination assistance”. This essentially means he travels the country to fire people for a living, a job that constantly keeps him on the road. Because of this, Ryan lacks much commitment to other humans, but his life starts to shift. First Ryan meets another road warrior, Alex Goran (Vera Farmiga), and they launch into a no-strings relationship. In addition, Ryan’s bosses ask him to mentor a new employee, Natalie Keener (Anna Kendrick). Along with other factors, these new connections prompt Ryan to view his life in a different way. Like Juno, Air is the kind of movie that earns ample critical praise and nominations but rarely takes home awards. I suspect Oscar prefers “big statements”, so something as personal and small scale as Air doesn’t stand out enough for them. That’s a shame, as movies like Air feel more real and personal than grand epics and other “message” films. Not everything needs to have some major impact on the world – can’t a good human tale do enough? Reitman did that with Juno, as buried beneath its snarky humor resided a good character story, and Air does the same. 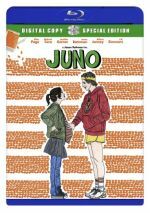 It lacks the sassy attitude of Juno but still brings us a nice mix of comedy and drama. Like Juno, Air features most of its funny material during its first act. While we still get laughs in the later scenes, matters gradually turn more dramatic as the story progresses. Reitman handles this transition well, as the movie’s tone adjusts in a subtle manner and comes across in a natural way. The film delivers its material in an engaging manner that keeps us with it as it goes. Air boasts a stellar cast, all of whom do well in their roles. Ryan doesn’t offer a part that requires Clooney to break a sweat – he essentially plays the “George Clooney Character” – but I don’t mean that as an insult. Clooney gives Ryan the edge and depth the role requires and delivers a solid performance. Though she plated a supporting role in 2008’s smash hit Twilight, Air acted as Kendrick’s “coming out”. Along with Clooney and Farmiga, she earned one of the film’s three acting Oscar noms, and she deserved it, as she makes her borderline cliché character memorable. Farmiga does the same for Alex, and Air packs small parts with strong actors. We find JK Simmons, Danny McBride, Zach Galifianakis, Sam Elliott, Jason Bateman and other notables, and they add substance to the tale. My only minor complaint about Air comes from its semi-predictable nature. Will it come as a surprise that relationship-averse Ryan changes and grows by the end of the movie? Nope. We do get a few mild curveballs along the way, but most of the film follows a fairly well-worn path, so it doesn’t do much to innovate. Nonetheless, Up in the Air delivers such an engaging effort that I can live with the semi-clichés. Well-executed and engaging, this becomes a strong film. 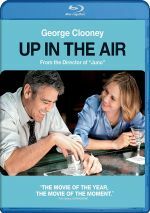 Up In the Air appears in an aspect ratio of approximately 1.85:1 on this Blu-ray Disc. Though not stellar, this was a mostly positive presentation. For the most part, sharpness looked good. Occasional slightly soft shots popped up, but those failed to occur with any frequency, so the majority of the flick demonstrated appropriate delineation. No shimmering or jaggies occurred, and I saw no edge haloes or print flaws. The flick went with an orange and mostly teal orientation. Overall, the hues seemed positive within those choices. Blacks appeared firm and deep, while low-light shots demonstrated nice clarity. The image seemed satisfactory. As for the film’s DTS-HD MA 5.1 soundtrack, it offered a decent effort and not much more. Of course, I didn’t expect a dazzling soundfield from this sort of comedy/drama, and I got mostly what I anticipated. In terms of effects, general ambience ruled the day, though a few sequences added a little pizzazz – especially during flights.. In those forward channels, the music provided nice stereo separation and opened up the mix reasonably well. There wasn’t a whole lot of activity or movement, but the effects conveyed a passable sense of space and place. The track functioned appropriately for the story. Audio quality appeared fine. Dialogue was consistently warm and natural, and speech displayed no concerns related to edginess or intelligibility. Effects were a minor component of the mix, and they seemed appropriately subdued and accurate; there wasn’t much to hear, but the various elements were clean and distinct. The music came across as acceptably distinctive. This was a standard “drama/comedy mix” without much to stand out from the crowd. The disc fills out with some extras, and we start with an audio commentary from writer/director Jason Reitman, director of photography Eric Steelberg, and 1st AD Jason Blumenfeld. All three sit together for a running, screen-specific look at the source novel and its adaptation, story/characters, editing and deleted scenes, sets and locations, music, cast and performances, and related domains. While Blumenfeld and Steelberg chip in their notes, Reitman dominates the chat – and that’s fine with me, as he makes this a terrific discussion. We get a slew of useful notes about the movie, all of which come in a brisk, honest package. Thanks to Reitman, this becomes an excellent commentary. Called Shadowplay: Before the Story, a two-minute, 27-second clip features Shadowplay Studio co-founder Gareth Smith and designer Jenny Lee. “Before” offers notes about the movie’s opening credits. We get some minor notes but “Before” is too short to tell us much. A music video for “Help Yourself” by Sad Brad Smith runs one minute, two seconds. It’s just a mix of shots from the set and movie snippets, so don’t expect much. Next comes a collection of Storyboards. Unusually, these don’t involve artwork. Instead, we see live-action video visualizations of scenes along with their final film counterparts. I wish we got commentary or other info with this one-minute, 26-second compilation, but it’s still reasonably interesting. 13 Deleted Scenes fill a total of 23 minutes, 16 seconds. These tend toward extra character notes, mainly related to Ryan and Natalie. Some good material appears – none of its seems crucial, but the clips become enjoyable. We can view the scenes with or without commentary from Reitman. He gives us details about the sequences along why he cut them. Reitman offers lively thoughts. In addition to two trailers, we finish with an Anerican Airlines Prank. This 37-second clip shows a jokey version of a deleted scene called “To Know Me Is to Fly With Me”. Watch it after you view “Know” with Reitman’s commentary if you want “Prank” to make sense. Buoyed by a terrific cast and a pleasing mix of comedy and drama, Up in the Air delivers a solid cinematic experience. While it doesn’t innovate, it executes the material well. The Blu-ray provides generally positive picture and audio as well as supplements highlighted by a terrific commentary. Up in the Air works nicely.